John Gattorna has spent a lifetime working in and around enterprise supply chains, in many different capacities – line executive, researcher, consultant/adviser, teacher, mentor and author. He is now one of the most respected supply chain ‘thought leaders’ in the world. For the last two decades he has been working with major blue chip corporations around the world such as Dell; Unilever; Teys Australia; Shell Development, DKSH, and Schneider Electric. It has been a complex task, involving learning about, and combining, several disparate disciplines – consumer/customer behaviour; internal cultural capability of the enterprise; leadership styles; and of course the operational aspects of corporate logistics networks and supply chains. He has written several books and articles published in magazines around the world, and he has numerous speaking engagements on the global stage. He is Executive Chairman of a Sydney-based specialist advisory business, Gattorna Alignment Pty Ltd, which focuses on developing leading-edge methodologies in the supply chain domain, and he collaborates with a large community of supply chain enthusiasts, worldwide. 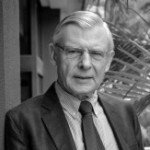 Dr. Gattorna has several academic appointments including Adjunct Professor, UTS Business School, Sydney; Adjunct Professor, and External Examiner, Global Logistics and Supply Chain specialisation, SP Jain Global School of Management [Dubai-Singapore-Sydney]; Foundation Professor to CIPS Australia; Adjunct Professor, Macquarie Graduate School of Management (MGSM) (2005-12); Visiting Professor, Cranfield School of Management (UK) (1990-2011), etc.